2th May at Mumbai Marathi Patrakar Sangh, Mumbai. The Rashtriya Swamayamsevak Sangh (RSS) has never deviated from its core ideology of forming a ‘Hindu Rastra’, it is the systematic attempt of rewriting history with saffron ink through its vast network of educational institutes like vidya bharti, one of the largest chain of private schools in India, catering mainly to lower middle class, Vanvasi Kalyan Ashram (VKA) which specialises in hostels for adivasi children along with other activities and Ekal Vidyalaya Foundation, which runs single pre-school teacher centres, where students are taught basic reading and writing of Sanskrit and Sanskrit behaviours, is a clear indicator of RSS’s slow but deliberate attempt of “saffronising” the education system of the country. And in the process, feeding large number of young brains with their core ideology of Hindutva. With these organisations at the helm of affairs, the rabid distortions in historical texts and the influence on young minds under such ideology is capable of communalising the situation in no time and flaring up of sentiments in the name of patriotism and nationalism, and creating fundamentalists and extremists out of the innocent young children, who are constantly fed with an ideology of superiority of one sect and demonising of another. Prof Haragopal urged the civil society and the activists to resist the communalisation of education and also focus on the implementation of the right to education and take part in the all India campaign on these issues. 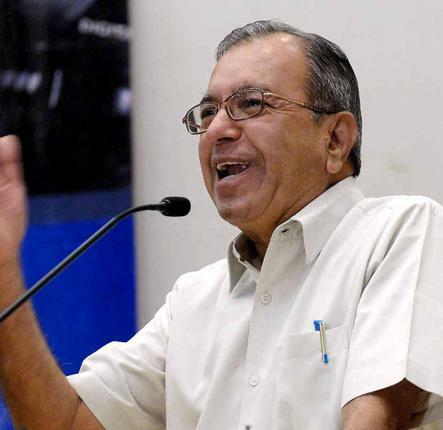 Asserting the secular fabric of India, he underscored that education is a conscience of a nation and that it must respond to social ‘needs’ and not ‘wants’, Prof. Haragopal stressed on the need for education that can train the younger generation to respect all the facets of diversity of the country. What is the proof that Aryans was a race? What is the proof that Dravidians was a race?